Have you found an online vendor selling St. Nicholas Abbey White? Vegetal with fresh corn aroma, and light leathery. Mellow aroma as if the rum is holding back/ shy to show it's characteristic. Finishing with light unage rum character on the nose. Citrus note of grapefruit peel, vegetal, dry and taste of unripe/ less sweet William pears. Short and dry finishing. Light, easy rum to consume and quite straight forward, was expecting more characteristic from it. Sugar: Estimated at 0-5 gpl. This is the first white rum that I would consider as a sipping rum. It's very smooth with no harsh afterburn that is the usual trait of white rums. Having visited the St Nicholas Abbey Distillery I can say that everything they do is top notch with care, and when you see that every bottle is hand bottled, you know they are masters of rum. On the nose it's fruity, floral, and vegetal, and on the palate it has a bit of pepper and apple taste. 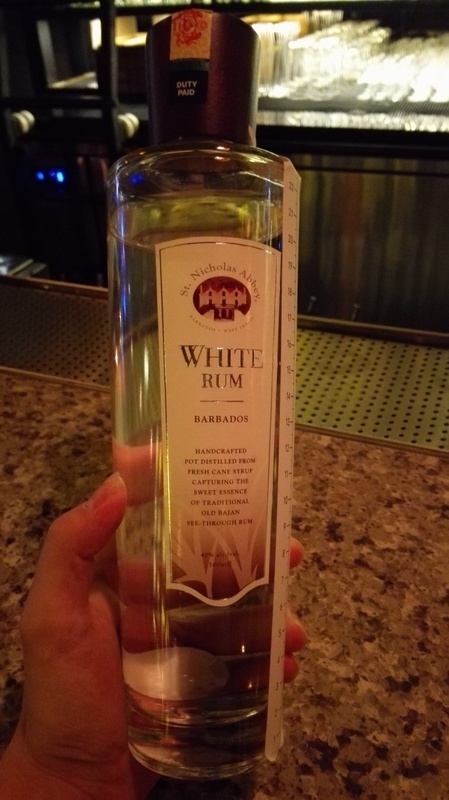 Different and better than any other white rum I have tried. It tends to get lost in the fruit punch, so I would recommend a half shot of mix with ice to enjoy this rum. This is the best white rum I have ever tasted. The nose is very floral on the lilac or the rose, it is vegetal, very delicate. Never smelled a white rum with such notes. In the mouth, it is very sweet, pastry, vanilla almonds, cream pat but without the vanilla, the frangipane. The plant side is always present as a common thread. We arrive on white chocolate, superb, a beautiful discovery. Ce rhum bajan est un rhum agricole, ce qui le distingue des autres. Je ne connait aucun rhum qui arrive à transmettre le goût de la canne à sucre aussi bien que celui ci. On a presque l'impression de croquer dedans tellement c'est intense. Je peux me tromper mais je crois que la canne bleue est à l'origine de ce rhum. J'ai hate de voir ce que donneront les rhums vieux qui découleront de cet agricole. A truly unique and fantastic rum. Tropical fruit like banana and guava. The aroma in the glass is grassy, almost cachaca-like. The taste, however, is somewhat of a let-down; nothing unpleasant, just pretty bland. Imagine drinking your favorite white rum - regardless of which brand that might be - with some plain water in it. That's this rum. It's a decent light rum, only less so. It's a white rum, not much to talk about. They have just started distilling their own, so stay tuned? We will be returning soon to get a bottle of the aged rum, even though it was distilled elsewhere.